Meet Tebow 16009. 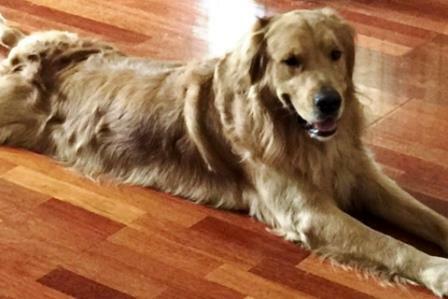 His owner knew that he just couldn’t give Tebow enough time so they surrendered him to ECGRR. 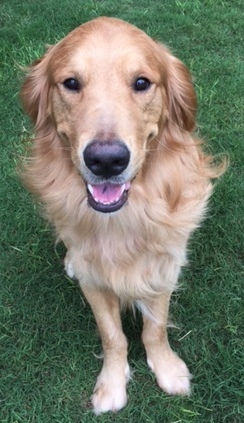 Appearance: Tebow is a 1.5 year old male that has a wavy light golden red coat with the blonde feathers underneath. He weights in at 80 pounds. 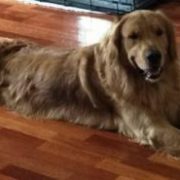 Health: Tebow is up to date on his vaccines, neutered, micro-chipped, and overall in great health. 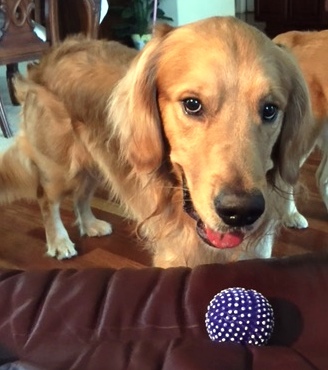 Habits and Training: Tebow is s typical sweet golden retriever. 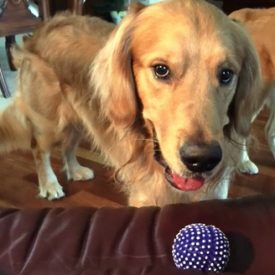 He is house trained, playful, and knows only a couple of commands. Sit, Down, Off. He does not do well on a leash. He is very strong and pulls so he will need work in this area. He likes to jump on you to get attention. Turning away from him will put all four paws back on the floor. He also has a strange habit of putting his left paw in the water bowl when drinking. Never seen that before. 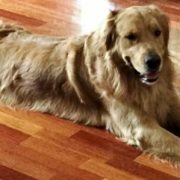 Children and Other Animals: Tebow gets along with other dogs and children. Although he is sweet he is strong and could knock small children down. He has not been tested with cats. Overall: Tebow would be a great addition to any family who is willing to help him learn to be a great pet. 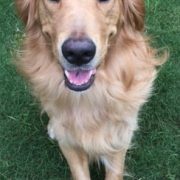 If you would like to be considered as Tebow’s new “Forever Family”, make sure to fill out the online adoption form and mention him by name.